Already on thin ice after months of turmoil and scandal, the executive director of U.S. Speedskating (USS) has resigned. Months of claims and counterclaims come to a head in a hotel conference room in Frankfurt, Germany, Thursday, when the International Skating Union considers the deliberate sabotage of a speed skate involving an American Olympic medalist and, allegedly, his former coach. The ISU's disciplinary commission is scheduled to hear testimony behind closed doors from Simon Cho, a Vancouver Olympic bronze medalist in short track speedskating, former American short track coach Jae Su Chun, and at least two witnesses. 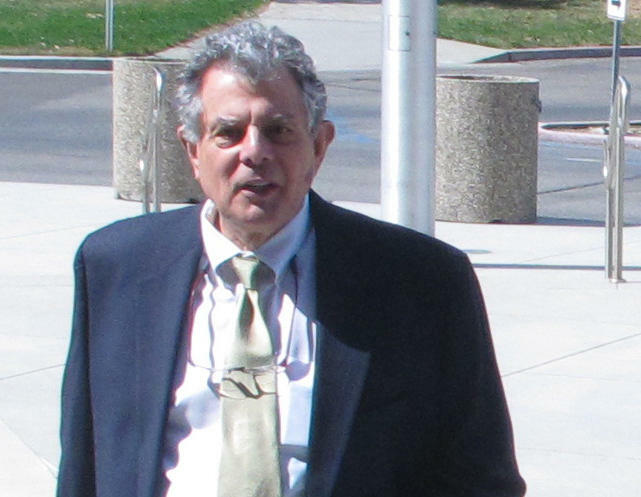 A federal public defender in Idaho wants a judge to find another lawyer for an Uzbek national charged with aiding a terrorist group and training others in how to build and use a weapon of mass destruction. If you've felt smug and safe using built-in, voice-controlled technology for text messages, email and phone calls while driving, forget it. 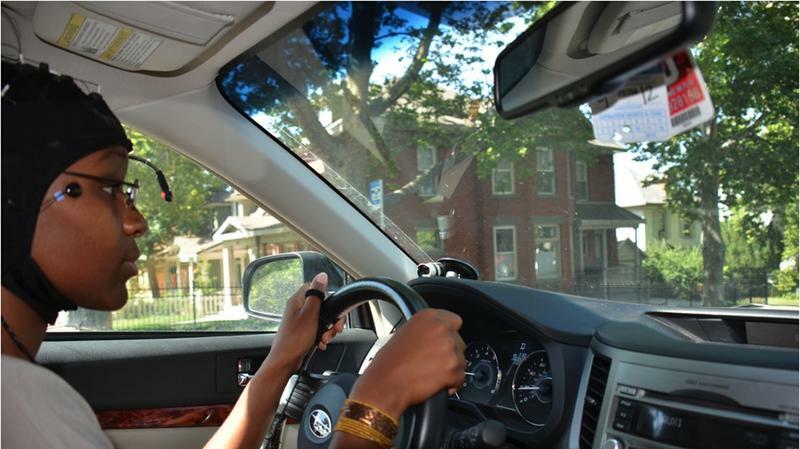 There are some sobering findings about the risk of distraction from the American Automobile Association and the University of Utah. The proliferation of hands-free technology "is a looming public safety crisis," AAA CEO Robert Darbelnet says. "It's time to consider limiting new and potentially dangerous mental distractions built into cars." 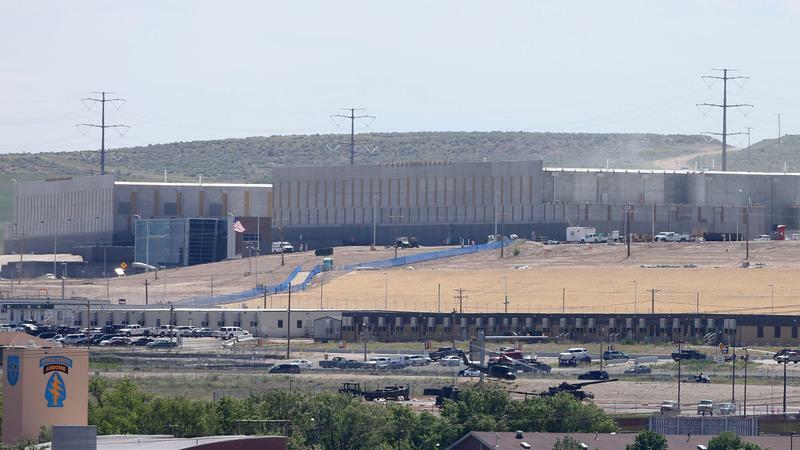 As privacy advocates and security experts debate the validity of the National Security Agency's massive data gathering operations, the agency is putting the finishing touches on its biggest data farm yet. The gargantuan $1.2 billion complex at a National Guard base 26 miles south of Salt Lake City features 1.5 million square feet of top secret space. High-performance NSA computers alone will fill up 100,000 square feet. The Utah Data Center is a data farm that will begin harvesting emails, phone records, text messages and other electronic data in September. It's the "liquid lie of the desert," as writer Terry Tempest Williams describes it, a vast inland sea so salty it triggers retching when swallowed. Brine shrimp swarm its waters and brine flies blanket the shore. In the right wind and weather its putrid smell reaches Salt Lake City neighborhoods 16 miles away. Storms churn up waves that rival ocean swells. 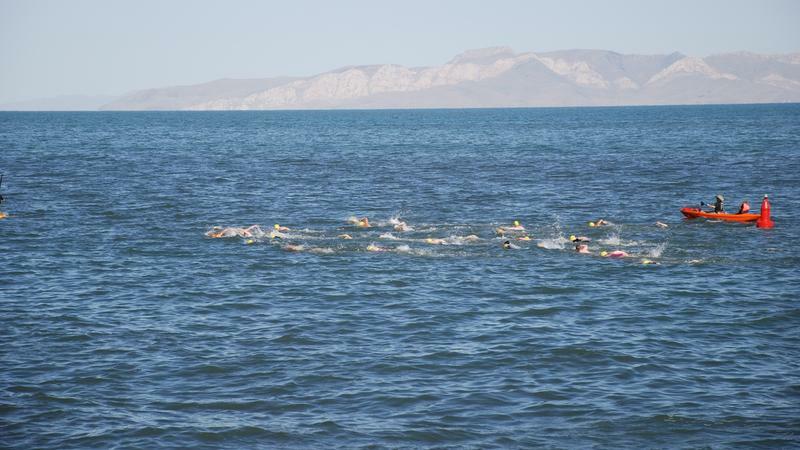 Goody Tyler isn't just any hard-core Great Salt Lake swimmer. He's a certified "ice swimmer." In December, Tyler swam 1 mile in the lake when the water temperature was only 41 degrees, the maximum temperature for an official "ice swim." "You're only allowed to wear one cap, one pair of goggles and a Speedo," Tyler says. "And that's it." 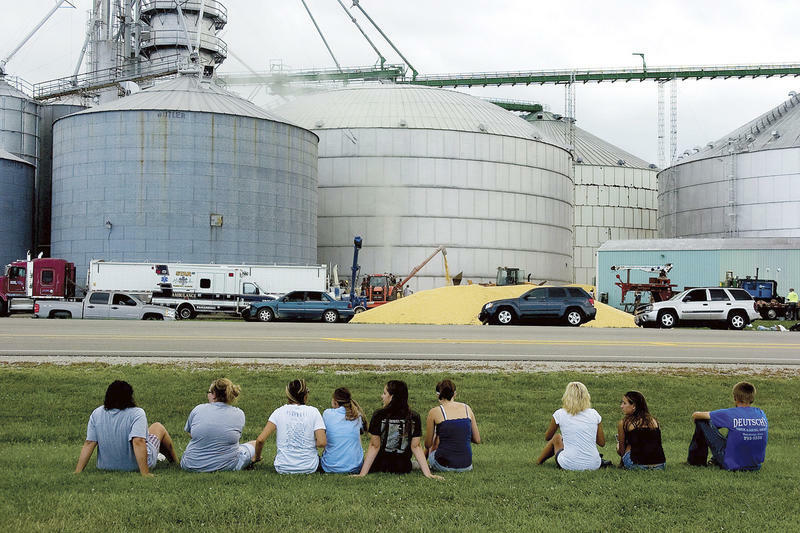 A new report from grain safety researchers at Purdue University says eight people died while trapped in grain last year, another steep drop from the record year of 2010, when 31 people lost their lives in grain bins and other grain storage facilities. The continued decline in incidents since 2010 is credited to drier and smaller harvests since then. 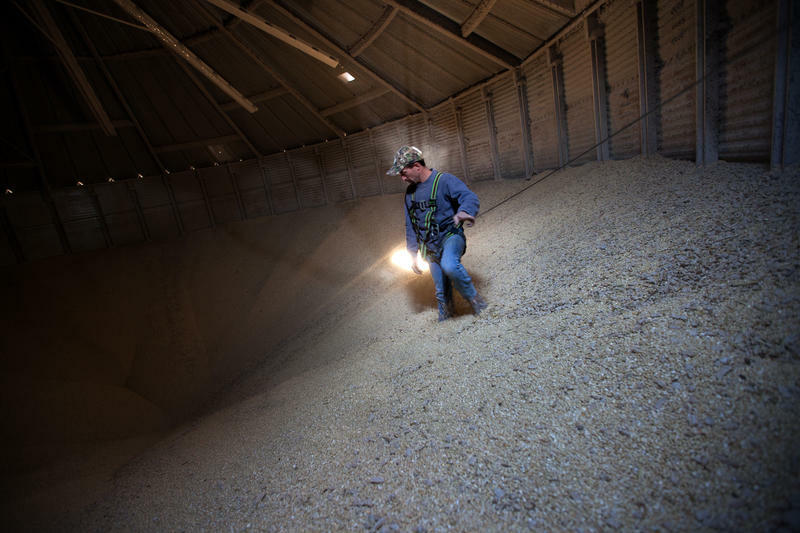 The grain stored in bins in 2010 was generally harvested wet and tended to spoil and clog. Workers and farmers went into bins to unclog grain and were trapped in a "quicksand" effect common in flowing grain. 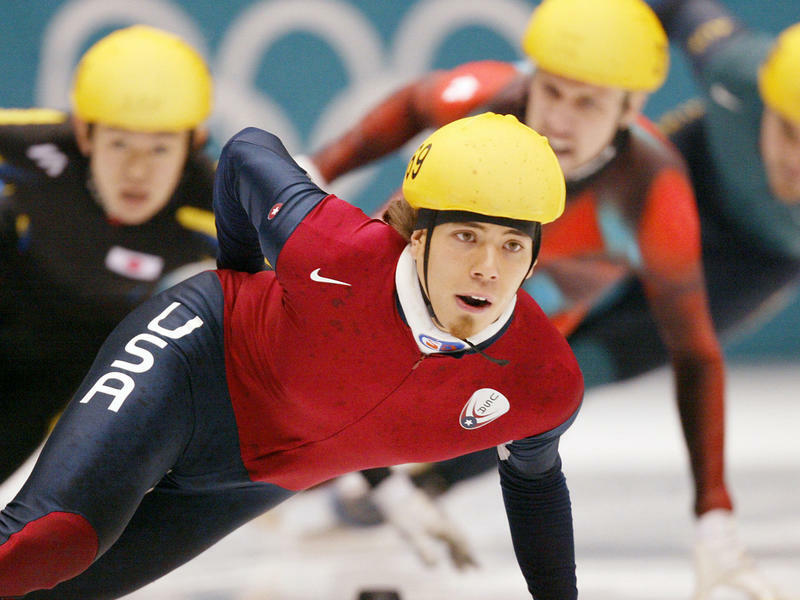 U.S. Olympic speedskater Simon Cho will boycott a hearing next week that could result in his receiving a lifetime ban from the sport, NPR has learned. 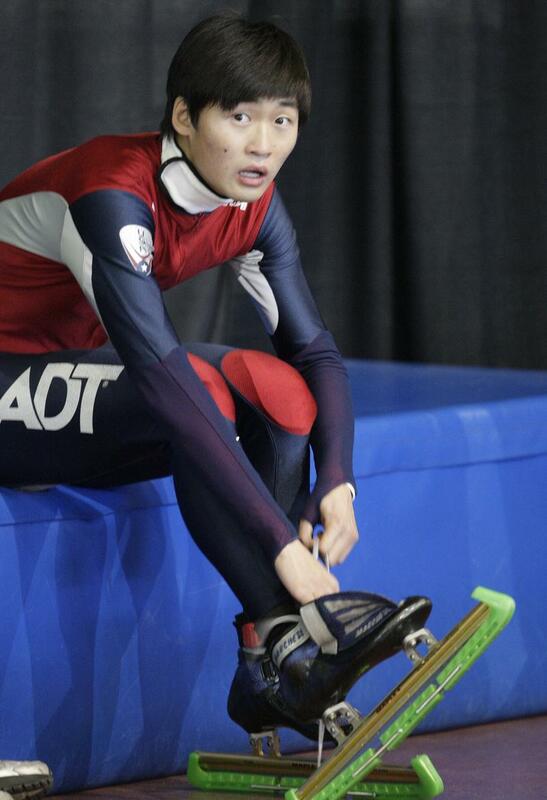 Cho is the short-track bronze medalist (Vancouver, 2010) who in October confessed to sabotaging the skate of a Canadian athlete during an international meet in Poland in 2011. The 30-year-old Uzbek national accused of a terrorist conspiracy in Idaho and Utah waived his right to a detention hearing in Boise on Tuesday, and apparently avoided public disclosure of details of his alleged crimes. 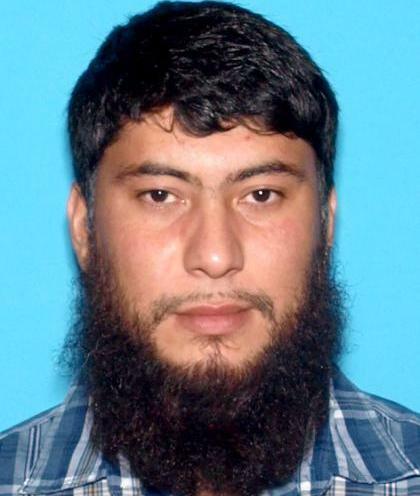 According to a federal court document, an attorney for Fazliddin Kurbanov withdrew his client's request for the hearing. Kurbanov confirmed the decision through an interpreter and agreed to remain jailed pending a July 2 trial date. 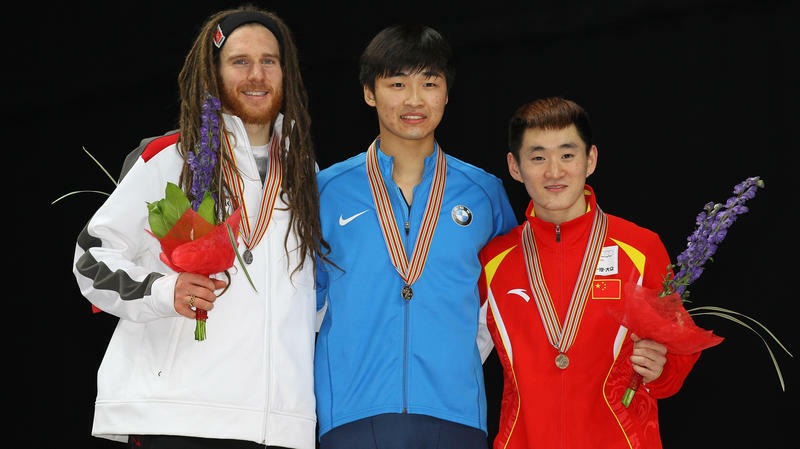 Rebellious athletes, drained budgets, dysfunctional management and a string of embarrassing scandals forced a major reorganization of U.S. Speedskating over the weekend. The group governs a sport that has produced 85 Winter Olympic medals for the United States — more than any other sport. But persistent turmoil threatened continued success in the next Games, just nine months away in Sochi, Russia. The changes leave USS with a smaller board and without numerous committees that have permitted parochial interests to meddle in the governance of the sport. 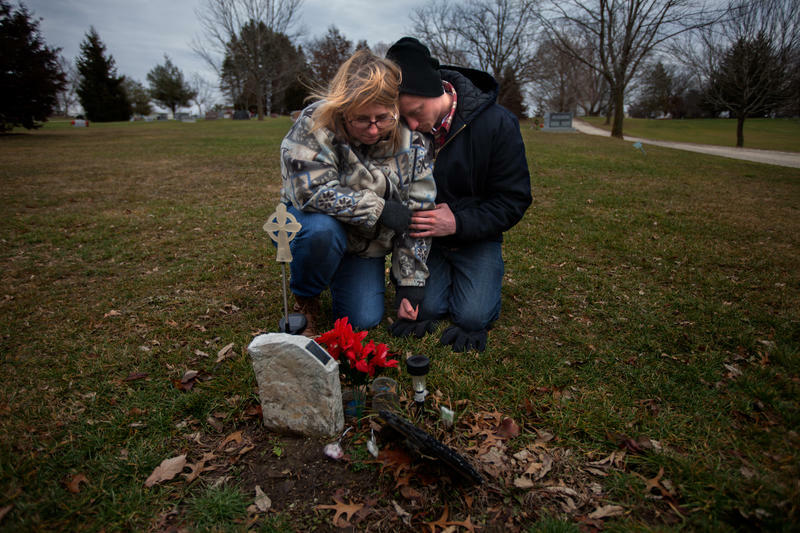 The tragic deaths of 29 coal miners in a massive explosion in 2010 have provided new evidence of a resurgence of the disease known as black lung. The 17-year-old soccer goalie who allegedly punched and killed a referee during a game in Utah last month faces a charge of "homicide by assault" and may be tried as an adult. Salt Lake County District Attorney Sim Gill sought the charge in a petition filed with a juvenile court Wednesday. Gill is also seeking to have the unidentified suspect certified as an adult. Dying on the job continues at a steady pace according to the latest statistics from the Bureau of Labor Statistics (BLS). 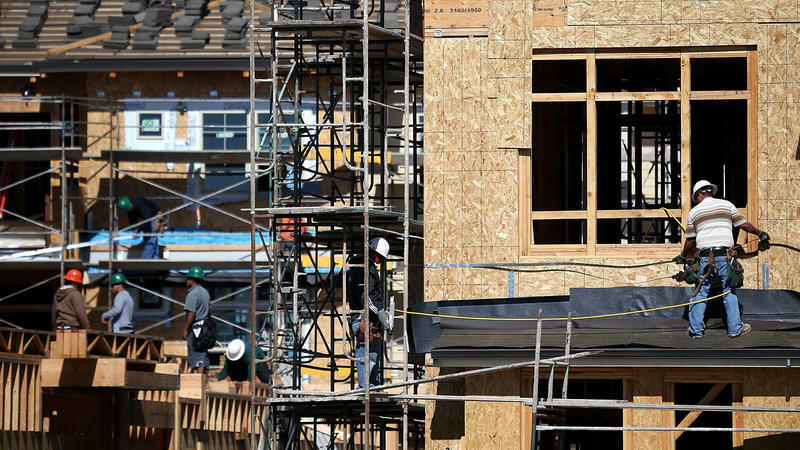 The fatal injury rate for American workers dropped slightly in 2011 — the most recent year with reported numbers — from 3.6 to 3.5 deaths per 100,000 workers. 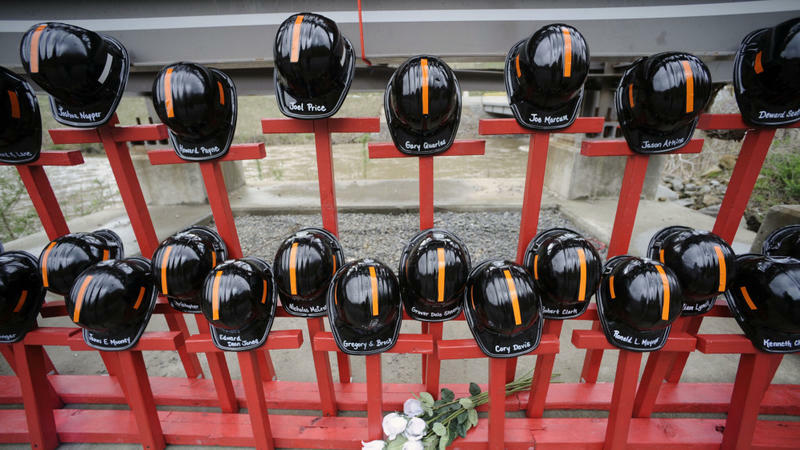 But 4,693 men, women and teenagers died at work. That's three more than the total number of lives lost on the job in 2010. 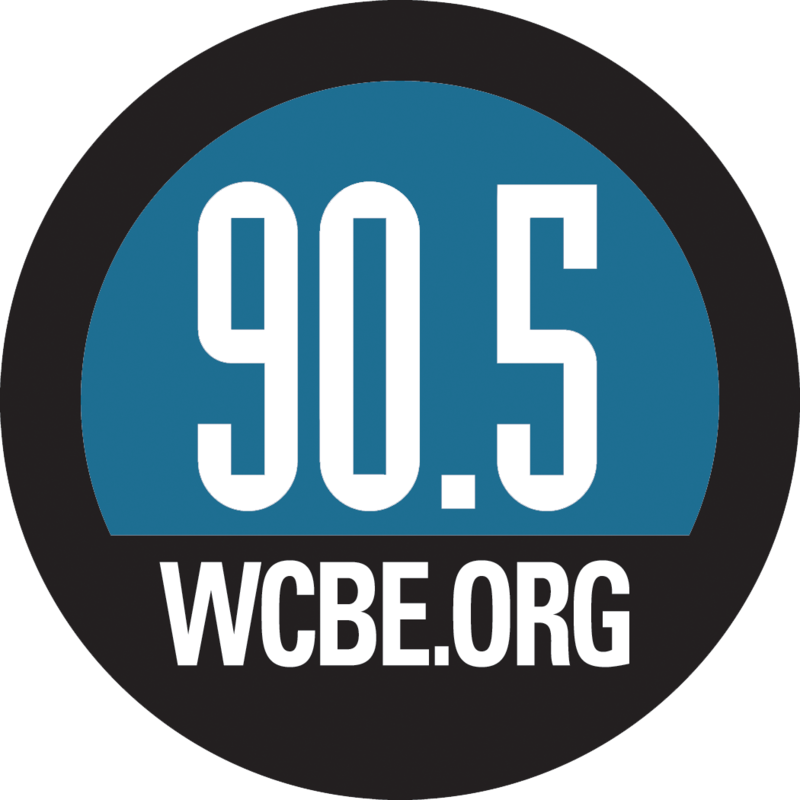 Howard Berkes is an NPR correspondent based in Salt Lake City. It may have been the dumbest thing I ever said. On April 19, 1999, I stood before an audience at Idaho State University in Pocatello, talking about the cruelest month. April, I pointed out, and April 19 in particular, have provided celebrated, infamous and sometimes horrific moments in our history. 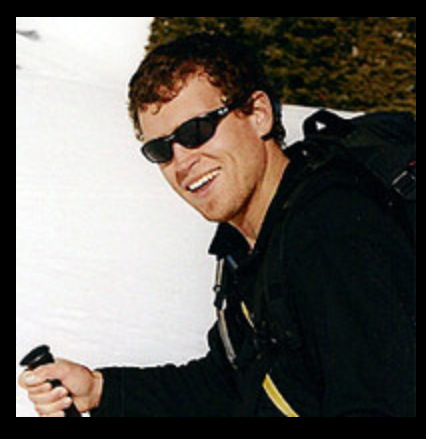 Dale Atkins has been tracking hundreds of avalanche deaths for years but the fatality report that arrived from Utah Friday morning was especially shocking. "It's way too close to home," says Atkins, the Colorado-based president of the American Avalanche Association. "It's mind numbing...it's a slashing chill." 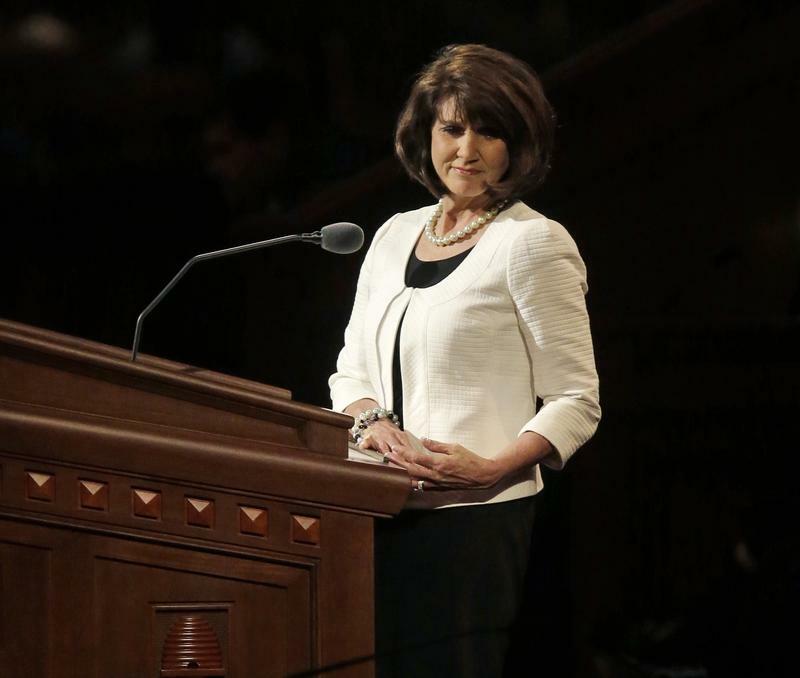 There was no formal acknowledgment of the historic moment Saturday when Jean Stevens stood at a dark wooden podium framed by potted plants and colorful flowers in the cavernous Mormon conference center in Salt Lake City. 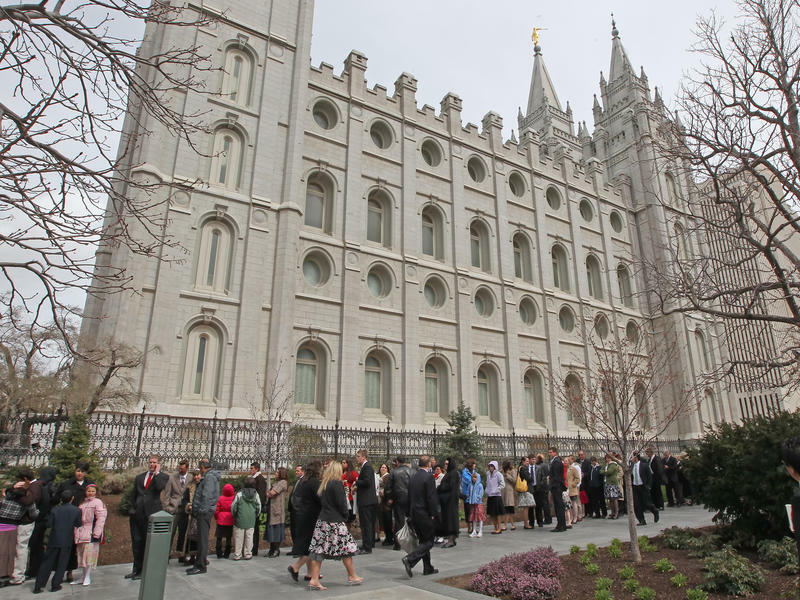 "Our beloved father in heaven," she began, as 20,000 faithful and silent Mormons in the building listened, and as millions of others (according to Church officials) watched on television screens around the world. Congress, the Occupational Safety and Health Administration and the Justice Department are beginning to respond to the NPR-Center for Public Integrity Series on hundreds of persistent and preventable deaths in grain storage bins and weak enforcement by federal agencies. The night before he died, Wyatt Whitebread couldn't stand the thought of going back to the grain bins on the edge of Mount Carroll, Ill. The mischievous and popular 14-year-old had been excited about his first real job, he told Lisa Jones, the mother of some of his closest friends, as she drove him home from a night out for pizza. But nearly two weeks later he told her he was tired of being sent into massive storage bins clogged with corn. 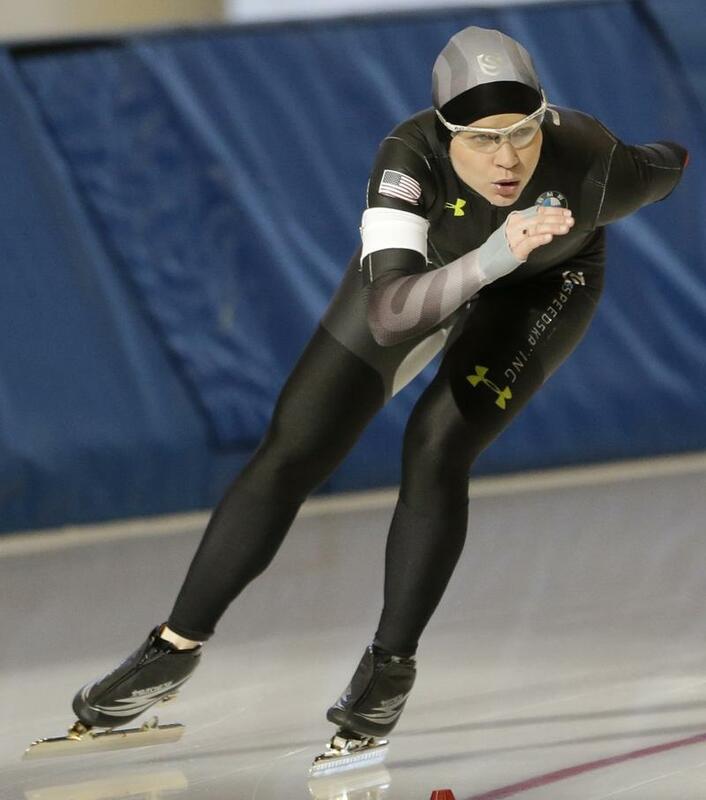 Yet another scandal has hit U.S. Speedskating (USS), which governs the sport with the biggest haul of winter Olympic medals for Team USA. The USS board announced Monday night that it is investigating allegations of sexual abuse involving short track silver medalist Andy Gabel, now 48, who also once served as president of USS. 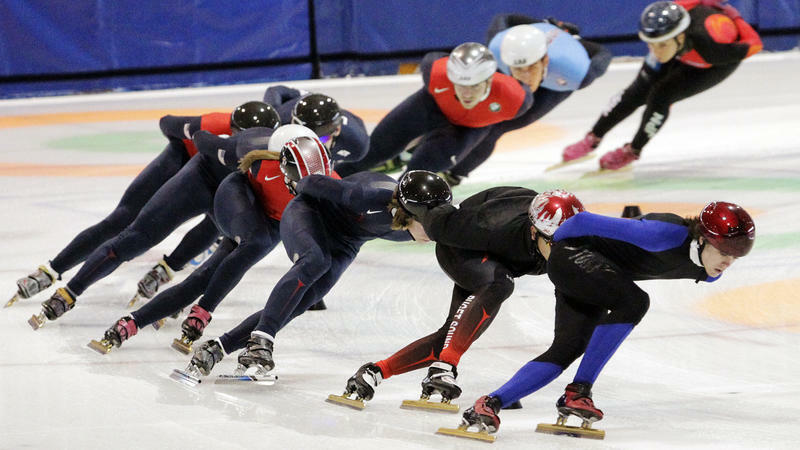 "U.S. Speedskating will not tolerate abuse of any kind and we intend to investigate these claims, and any others that arise, thoroughly," the group said in a written statement. 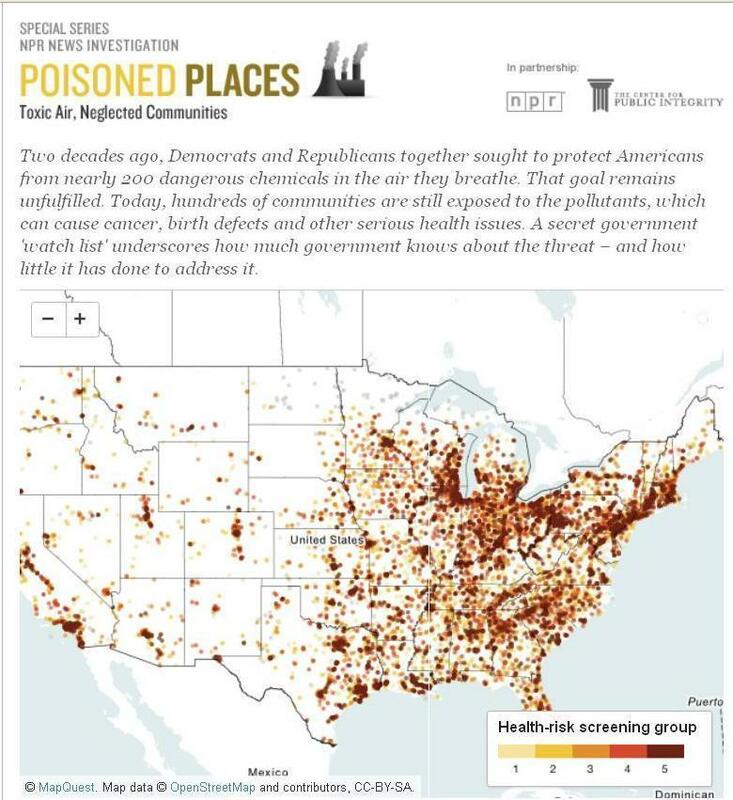 Our investigative reporting colleagues at the Center for Public Integrity (CPI) continue their look at the Environmental Protection Agency's regulation of toxic pollution with a new report scrutinizing the agency's delay in announcing that "even a small amount of a chemical compound commonly found in tap water may cause cancer." The Environmental Protection Agency's once-secret "Watch List" of allegedly chronic polluters is under review by the EPA's inspector general. The existence of the list was first disclosed by the Center for Public Integrity (CPI) and NPR in 2011 during a joint investigation of EPA's air pollution regulation. CPI's Jim Morris discovered the list and a CPI/NPR Freedom of Information Act request prompted its public release. Ken Ward at The Charleston Gazette has a story worth reading about West Virginia's failure to enforce new coal mine dust standards prompted by the deadly explosion three years ago at Massey Energy's Upper Big Branch mine. Ward used the state's Freedom of Information Act to obtain and review mine safety inspections conducted by the Office of Miners' Health, Safety and Training. 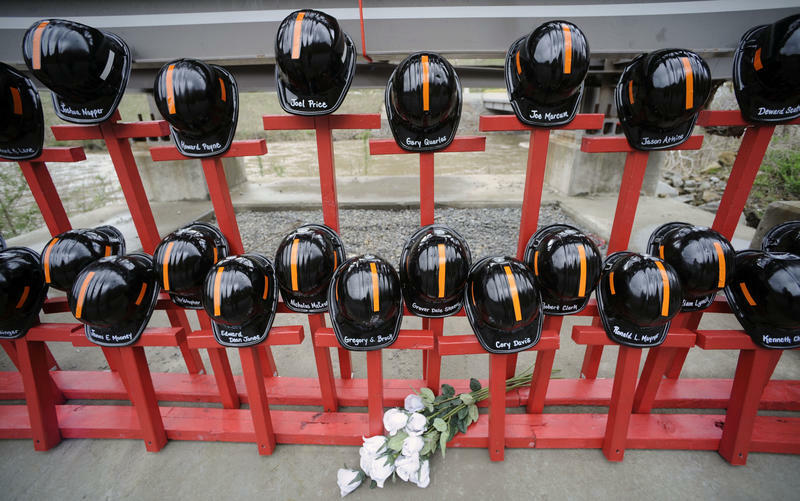 Nearly three years after a deadly mine explosion in West Virginia, a former Massey Energy mine superintendent has been sentenced to prison and federal regulators have toughened a regulation that could have helped prevent the disaster. Ten years after jumpstarting Mitt Romney's political career with a widely-praised Winter Olympics, officials in Utah say they're ready to do it all over again. But there's no word on whether the unemployed Romney is interested in reprising his role as Salt Lake City Olympics chief. He would be 78, after all, when the 2026 games roll around. That's the earliest opportunity for a Winter Olympics in the United States. 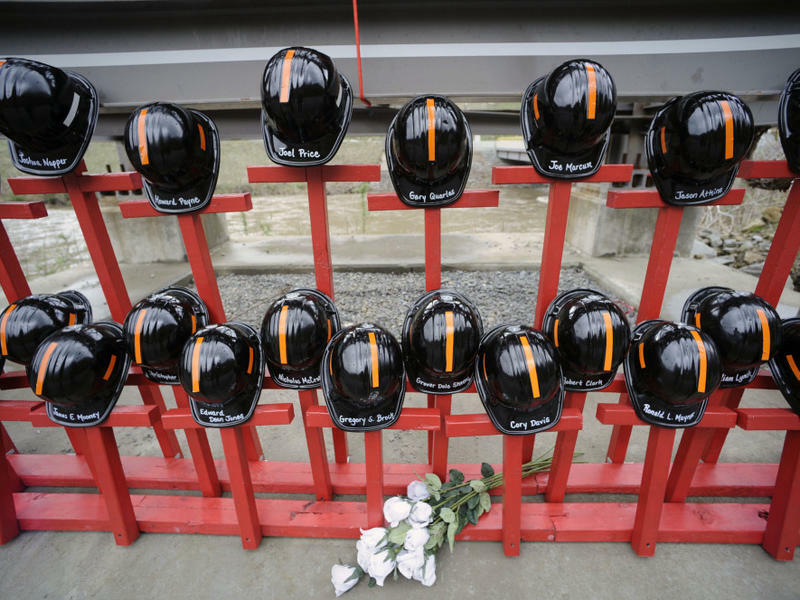 Federal prosecutors in West Virginia stepped higher up the corporate ladder at Massey Energy Wednesday with new criminal charges stemming from the investigation of the 2010 coal mine explosion that killed 29 workers. David C. Hughart was president of Massey's Green Valley Resource Group, a major coal mining subsidiary based in Leivasy, W. Va., from 2000 to 2010. Poor Chris Stewart. The former Air Force pilot had just won a landslide victory in his first bid for Congress in Utah, but the crowd of Republicans listening to his acceptance speech at a Salt Lake City hotel kept pointing to the massive television screen behind him. "Do you want me to stop?" Stewart asked. "You would rather listen to Gov. Romney than to me, wouldn't you?" Some in the crowd shouted "Yes!" and the sound of Romney's concession speech filled the room. As Mitt Romney and President Obama get ready for their second debate, a new bipartisan survey shows a surge for Romney in a key voter group following their first debate Oct. 3. 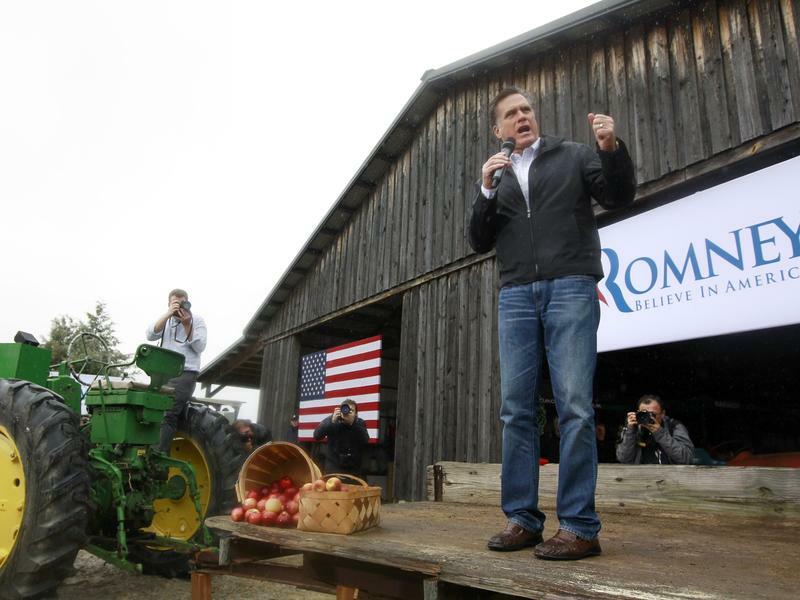 The random cellphone and land line poll of 600 likely rural voters in nine battleground states Oct. 9-11 has Romney at 59 percent among the survey's respondents. Obama's support is now down to 37 percent among rural battleground voters, a plunge of 10 points from the actual rural vote in those states four years ago. A day after resigning under pressure from U.S. Speedskating, former head coach Jae Su Chun says he didn't report a tampering incident at an international meet last year to protect skater Simon Cho, who confessed to sabotaging a Canadian athlete's skate blade. "I know I chose Simon over my own principles," Chun says in a written statement translated from Korean by a spokesman. Reporting by the Charleston Gazette this week suggests that the Obama administration's efforts to impose tough new limits on miners' exposure to coal dust have stalled. The United Mine Workers Union suggests election year politics may be the reason.